I’m at a hotel in Austin, Texas, participating in a Safe Conversations workshop held by Harville Hendrix, Ph.D., and Helen LaKelly Hunt, Ph.D., a husband and wife duo specializing in couples therapy. I dragged my fiancé, David, here from Dallas for seven long hours dedicated to improving our communication skills in anticipation of our upcoming nuptials. I think we communicate very well, but there are a few areas where we could make improvements: I sometimes get too heated and raise my voice when we argue, while David sometimes bottles up what he wants to say and then I have to prod him. At the workshop, we will learn to have open, honest and safe conversations with around 15 other couples. At 26 and 27, we’re by far the youngest people in the room. Hendrix and Hunt are not newcomers to relationship therapy. The duo created a form of relationship therapy called Imago therapy in the late 1980s. It’s a form of counseling focused on the idea that by collectively healing childhood wounds couples have held onto for years, they can grow together and overcome their problems. The concept was shared in Hendrix’s wildly popular book published in 1988, Getting the Love You Want: A Guide for Couples. The pair decided they wanted to make their therapy accessible to all, so in 2010 they founded the nonprofit Relationships First, which holds educational workshops across the country. 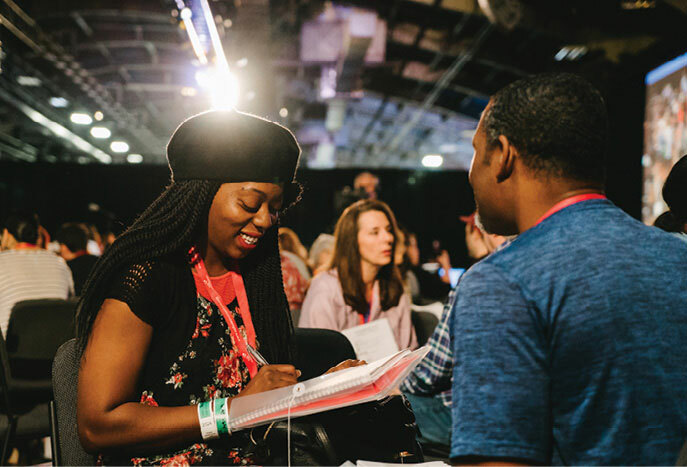 The Safe Conversations workshop is a pared-down, simpler and quicker version of their more established Getting the Love You Want weekend workshop, which they began hosting around 35 years ago. Safe Conversations workshops are held primarily in Dallas, where the couple resides. They are either free or very affordable, because the couple doesn’t want anyone’s economic situation to prevent them from coming, Hendrix says. 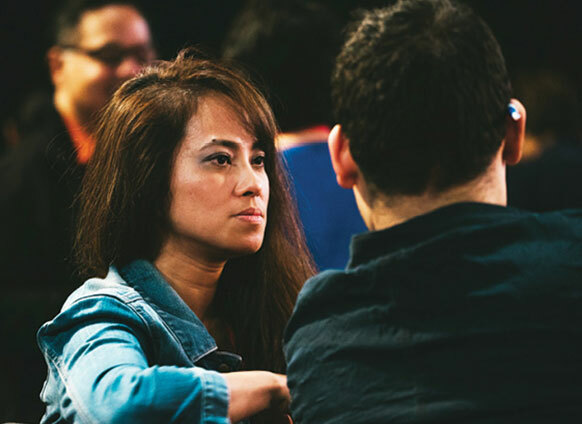 The workshop promises to teach simple skills couples can use to have better conversations and, in turn, progressively fix the problems in their relationship. David and I walk into the arctic climate of a hotel ballroom at 9 a.m. and sit as far away as possible from the center of the room. The tension emanating from the couple to our left is palpable. They bickered for two minutes about whether they were blocking another couple’s view (they weren’t) and finally decided to move because the wife wanted to. David and I raise our eyebrows at each other. I’m not sure what to expect over the next seven hours, but if this opening is any indication, I’m a bit wary we’ve joined some New Age cult. 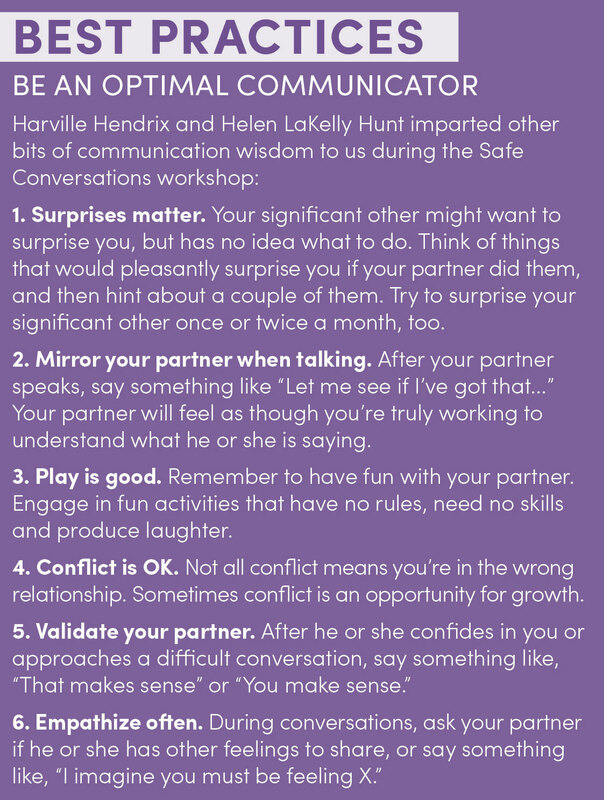 SAFE CONVERSATIONS WORKSHOP LEADERS, HUSBAND AND WIFE TEAM, HARVILLE HENDRIX, PH.D., AND HELEN LAKELLY HUNT, PH.D. This exercise comes naturally. The simplicity of the conversations we have is refreshing. Next Hendrix and Hunt tell us about the importance of sharing appreciations with our partner. We use the same format we learned for initiating a conversation, but instead tell our partner, “I would like to express an appreciation. Is now a good time?” David tells me how he appreciates the amount of time I’ve put into our wedding planning. I tell him how I appreciate that he always cooks dinner for me because I get home later. We embrace for one minute, as we’re instructed to do after every exercise. As I scan the room, I see a handful of couples struggling to embrace. Some leave ample space between them; others only hug for five seconds instead of the full minute. It saddens me to see this, but then I remember they attended this workshop with the hope of fixing their problems. 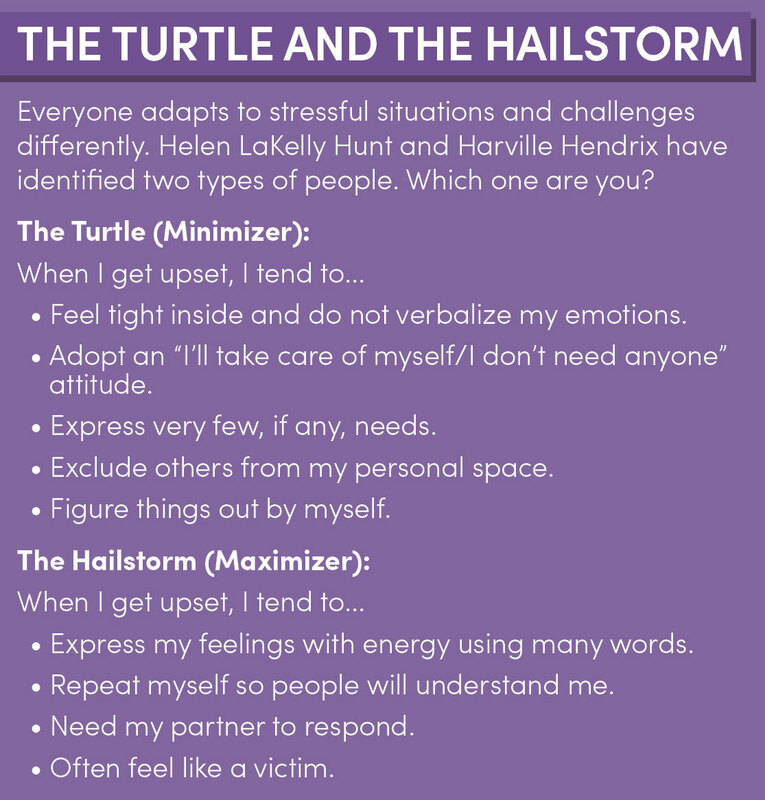 The key to being in a healthy and happy relationship, Hendrix says, is finding common ground where you and your partner can see the world—and the situation or conflict in particular—as similarly as possible so that you can have an open, safe and honest conversation. The exercises get progressively more challenging as the day slowly moves on. Still a frigid 50 degrees in the ballroom, David gives me his socks to wear as we’re told to open up about our childhood. Despite having been together for seven years, this is a topic we don’t discuss often. We both struggle a bit to open up. When it’s his turn, his lip trembles and when it’s my turn, I hesitate to speak for several seconds. But I feel relieved after we share this information. It feels like we know each other on a deeper level than we did before. I’m surprised because I thought I knew every detail about him. Hendrix and Hunt don’t need to spend their Saturdays pushing couples to face difficult conversations together. Hunt, a philanthropist, is the daughter of H.L. Hunt, a Texas oil tycoon who was at one point the richest man in the world, with a net worth of $1 billion when he died in 1974. Hendrix is an accomplished speaker and author. He was a guest on Oprah Winfrey’s talk show 17 times after Getting the Love You Want was published. Hendrix is 81, and Hunt is 68. 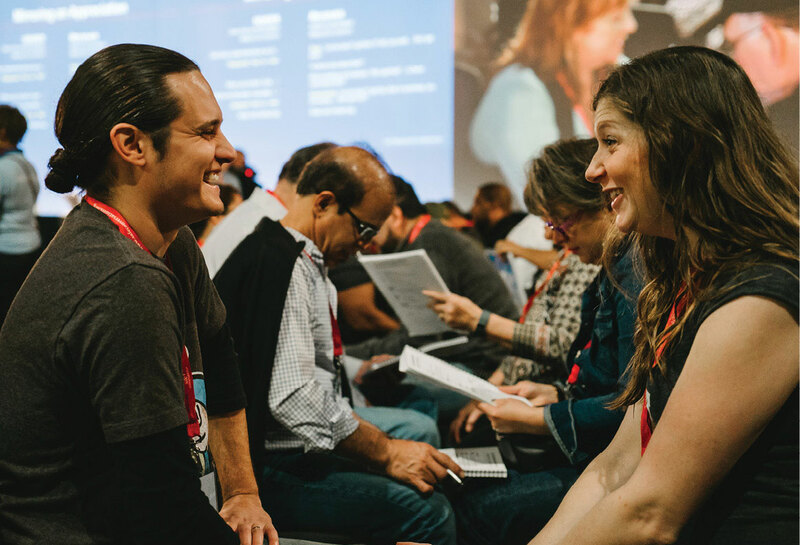 But the couple believes in the transformational power of their workshops to improve communication between couples and lower the divorce rate around the U.S. Although the divorce rate in the U.S. was most recently reported at 16.9 divorces per 1,000 married women, the rate has seen a steady decline over the last several years and has reached a 40-year low. This makes me hopeful that people are putting more consideration into marriage before taking the big leap. And seeing as how David and I dated for seven years before getting married, I fully see the value of ensuring one is as prepared as possible before entering a marriage. Hendrix and Hunt’s beliefs don’t stem just from research and clinical experience but also from personal experience. Their marriage is a second for each of them, and they almost faced divorce a second time themselves. 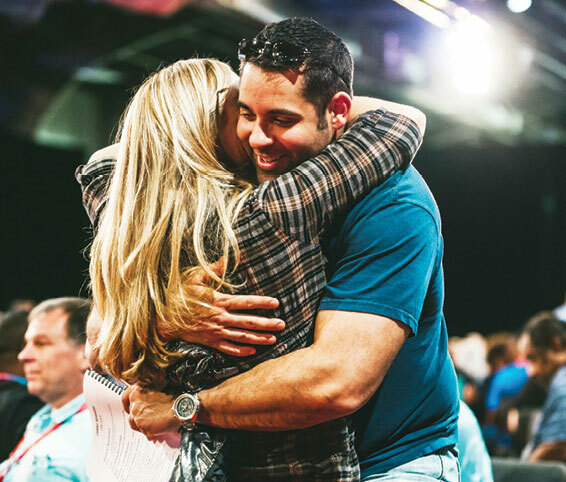 At the seminar, they tell us how they began struggling in their relationship, and a couples therapist they saw told them they were the couple from hell. If they can turn their seemingly doomed marriage around, they say, then why can’t others? Hendrix and Hunt began holding Safe Conversations workshops in South and West Dallas in 2014 because they wanted to take lessons and skills people learn in therapy and make them accessible to the general public. They moved from New York City to Dallas because they thought Dallas would be a good place to test their concept. The Dallas area has some of the highest divorce and poverty rates in the country. Their workshops began primarily in African-American and Hispanic communities, and then expanded into Korean, Japanese and Muslim communities and eventually to the upper middle class in North Dallas. 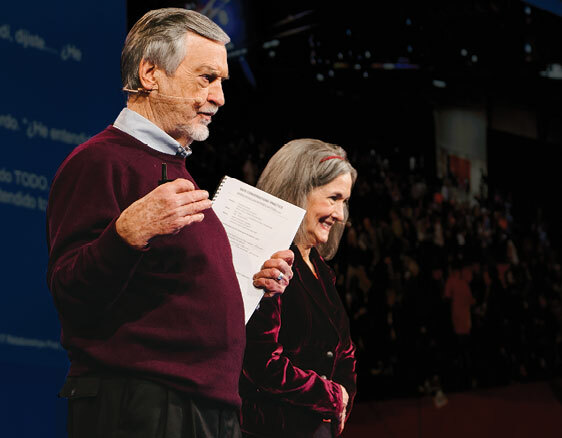 Couples who attended their workshops began wanting to help spread the information, so Hendrix and Hunt launched a program training others to teach their methods. One such couple, Nikki and Torrey Carroll, attended a workshop four years ago and then became members of the inaugural eight-week train-the-trainers program. “When we went to the first Safe Conversations workshop, it was eye-opening,” Torrey says. “It was like, this is it. This is what we’ve been looking for. We just kind of fell in love with the work and really became the first adopters. 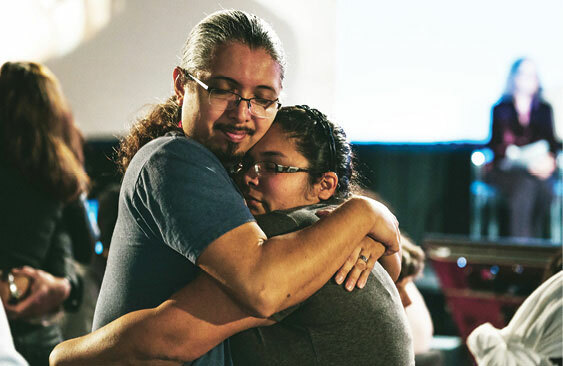 We wanted to take this into our ecosystem and really transform it.” The couple now holds workshops throughout the Dallas metroplex, including in churches. Torrey works as a vice president/financial reporting analyst for a global bank, while Nikki is a digital marketing manager for a global technology company. They both hold Safe Conversations workshops in addition to their day jobs. “Torrey and I said not only do we value the work being done here, we have to be a part of this,” Nikki says. Safe Conversations now has about 100 trainers, some of whom have spread the methodology around the world. “We really want to see the concentration of change here [in Dallas] but what’s so wonderful is the natural process taking it other places,” Alston says. “It spreads without us spreading it.” Trainers have held workshops as far as South Africa, India and Iran. Hendrix and Hunt envision their Safe Conversations workshops aiding platonic relationships, too. They’ve recently begun working with first responders in the Dallas Police Department, and they have a presence in five local schools. They even have a version of Safe Conversations for kids and teenagers. We’ve reached the end of our long seminar. Although I’m optimistic about using some of the tactics I’ve learned, I’m eager to leave for fear my toes will fall off from frostbite. The couple in the center of the room just finished their demonstration of positive flooding—an exercise Hendrix and Hunt say is designed to increase a sense of safety and passion—so now it’s our turn. I start feeling a twinge of vertigo as I circle him, but I continue into the second round. He stands up when I’m done, and I rest my head on his shoulder as we embrace for one minute. I feel confident and empowered knowing we have these tactics going into our marriage. The workshop taught me the benefit of never raising my voice, and I hope David gleaned from it the advantages of approaching me when he wants to talk about something on his mind. Whether we’ll actually use these tactics is another question. We end the night on South Congress Avenue in Austin with margaritas at Güero’s and Italian food at Vespaio. We’re all smiles and laughs. When I tell David we should head to one end of the bar to find seats just as two seats open in the direction he suggested, he doesn’t roll his eyes with a knowing I told you so. Instead, he smiles and says, “Don’t worry, another seat will open up soon,” and puts his hand on the small of my back. I tell him I appreciate that. Before the end of the workshop, couples were instructed to sign a 30-day no negativity pledge. We received a calendar in which we would input a smiley face for days with no negativity and a sad face for days with negativity. We had eight sad faces. Hunt tells me we shouldn’t be too hard on ourselves. I really appreciate your post and you explain each and every point very well.Thanks for sharing this information. And I\’ll love to read your next post too.